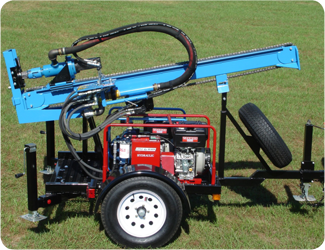 The LST1 well drill offers the perfect combination of performance and portability. 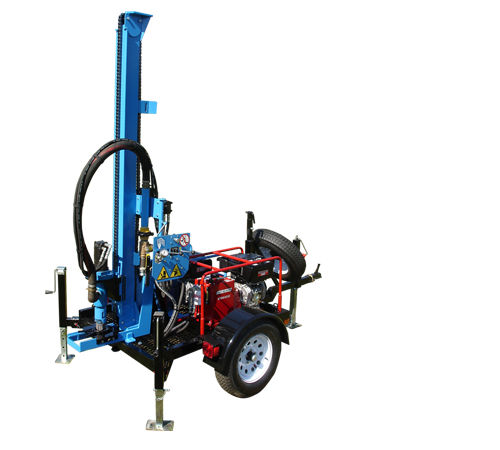 Suitable for use in a variety of soils, the LST1 drills a 6-inch borehole up to 300 feet. 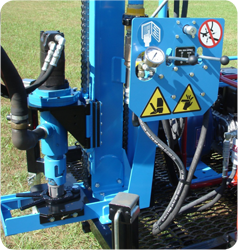 The robust hydraulic system generates up to 5,000 pounds of pull/push-back force for efficient water well drilling in rugged terrain, and an optional anchor kit enables the unit to push beyond the trailer’s weight. A convenient bypass flow system allows precise control and adjustment to achieve desired push-down force while a three-way ball valve enables the operator to quickly bypass mudflow when adding pipe.